Sep. 30, 2017 2:00 p.m.
Air France says a passenger flight en route to California was forced to land in Labrador following “serious damage” to one of the plane’s four engines. The airline said the plane landed safely Saturday afternoon after being diverted to Goose Bay airport as a precaution in response to a technical issue. 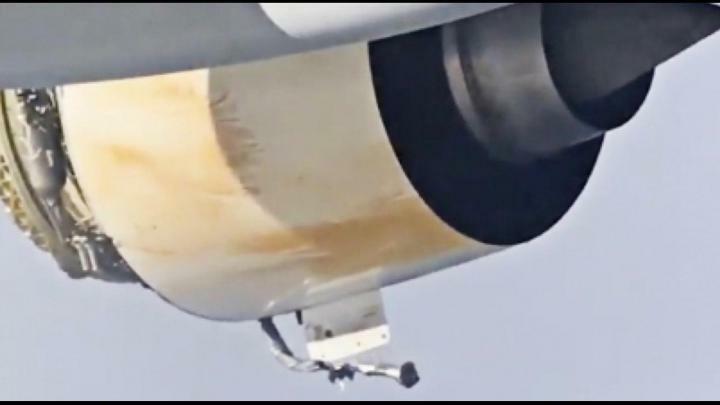 Passengers on board the aircraft, which departed from Paris for Los Angeles Saturday morning, tweeted photos and video of the plane flying through the clouds with a damaged engine, which appears to have lost its cowling. Pamela Adams, a travel writer and family therapist from southern California, said she and her husband were on their way home from a trip in France, when six hours into the flight, they got up in the aisle to stretch their limbs. The pilot came on over the loudspeaker and said the plane had “lost” one of its engines and would be attempting to land in Canada, said Adams. Rather than worry, Adams said she tried to provide emotional support and bond with other passengers. About 90 minutes after the initial impact, the plane landed smoothly in Goose Bay, she said. Adams said passengers were stuck inside the aircraft as emergency vehicles pulled up to the scene. The crew handed out meals as they waited on the runway for hours, but even with full bellies, she said some passengers were growing restless. Air France said it was working on rerouting passengers.